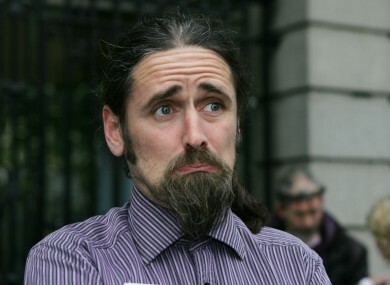 Independent TD Luke Ming Flanagan would not discuss the substance of a complaint he has made to the Data Protection Commissioner about the Justice Minister Alan Shatter. INDEPENDENT TD LUKE ‘Ming’ Flanagan has confirmed that he has made a complaint to the data protection commissioner (DPC) about information the Minister for Justice Alan Shatter has disclosed about him. Speaking today, the Roscommon-South Leitrim TD said he complained to the DPC two or three weeks ago but would not say what this complaint was about. “He released information about me that he shouldn’t and you’ll find out about that as it it develops,” Flanagan told a press conference today. His complaint is the second against Shatter to the DPC after fellow independent deputy Mick Wallace complained to the commissioner over the disclosure of an incident in which Wallace was stopped by gardaí for using a mobile phone while driving. Flanagan said that the complaint was not in relation to Shatter last week reading out a letter sent to him by Flanagan on his own penalty points incident, but he also took the opportunity to criticise the Minister for reading out this letter. “When you send something to Minister Shatter, no matter how personal it is, no matter how private it is, there is potential for him to read it out to the Dáil or to release it to the media. Kind of worrying,” he said. Flanagan then sarcastically suggested that the media ask Shatter about the complaint given that the Office of the DPC comes under the remit of the Department of Justice. Email “Ming: Shatter released info about me, but I'm not saying what that info is”. Feedback on “Ming: Shatter released info about me, but I'm not saying what that info is”.